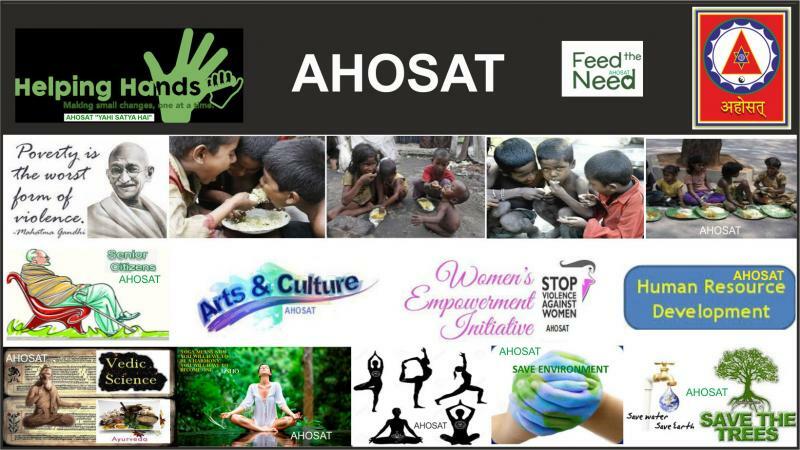 ﻿The organization is involved in community service, social reforms, world peace, art & culture, vedic knowledge, ancient art & sciences, welfare of senior citizen, women empowerment,human resource development, enviornment and resource managment to the fullest for the benefits of the society. The organisation's programs are guided by philosophy of peace. Unless we have a stress-free mind and a violence-free society, we cannot achieve world Peace. To help individuals get rid of stress and experience inner peace, it focuses on the upliftment of human values at the grass roots level and spiritual growth.It offers a variety of personal-development programs,activities relating to health, education, sustainable development, etc. The organization operates as a social business. The organization is managed by volunteers. Many programs and training programs are conducted through, or in conjunction with partner organization.It organizes programmes and courses related to yoga. breathing, meditation workshops, education and various other activities. Under Vyakti Vikas Abhian the objective of the organization is to develop a stress-free society and a peaceful individual. To bring about a social transformation so that the complete potential of each individual is expressed. To realize one’s full potential we also need to take care of our society and our environment. Peaceful individuals do not contribute to conflict on an individual nor on a social level. Unless we have a stress-free mind and a violence-free society, we cannot achieve world peace. To attain stress-free and violence-free society. We encourage people from all backgrounds, religions, and cultural traditions to come together in celebration, meditation and service. To achieve these goals, with the help of few sister organisations which are also dedicated to the same vision. We offer programmes, courses and humanitarian projects to eliminate stress from the mind and violence from society. These programmes also helps in spiritual growth. These are also very good for those who are affluent may nevertheless be frustrated, depressed or simply wanting to grow spiritually in life and to Know oneself better.These are meant for anyone who would like to learn some techniques to release tension, and enable the individual to handle any challenge. After all everyone encounters challenges in their life, whether rich or poor. Everybody and every executive knows, stress management is a key even for the most successful. We all know today, that the human brain has two hemispheres - the right half which is more connected to art and intuition, and the left half which is more connected to logic and reasoning. Some people are more logical and perhaps do not like music and dance. Others are more spontaneous and like dancing, but avoid logic or more intellectual activities. It’s important to develop both aspects for either of them to fully flourish. In our programmes we use combination of different things like clapping therapy,hasay yoga,dance and satsang, yoga, meditation, breathing techniques etc. It doesn’t matter if right now you dance well or sing well.Whether you sing well or not - it’s very beneficial to participate anyway. You will find that the programme and Course releases layers of stress without effort. You will discover the hidden laws that govern the mind, as well as skills to effectively deal with negative emotions. However, the techniques taught and the human values we promote are completely universal. The various techniques are combined in new ways to nourish all levels of the body, mind and spirit. To find out more, take the first step or join a program near you and ask the trainer! This is not a religious organization. In fact, one of our goals is to promote spiritual values, regardless of the religious, cultural or social background of people. By ‘spiritual values’ we mean universal human values like friendship, generosity, compassion, care for the environment and service to humanity - values respected by all nationalities and traditions. 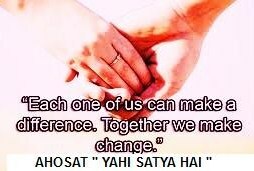 We also propogate Seva meaning service. One of the basic goals of the organisations is to provide a place where all people may come together for celebration and service (or ‘seva’), as an organisation which welcomes all as part of its peace-making initiatives. Even if we have very different cultures, languages, customs or religions, we may do some voluntary work together. The satisfaction from doing something for others is very great. It’s a natural impulse to help others. This is something which young children exhibit, but sometimes stress, fear and other negative emotions block us. Sense of belongingness to others makes us more relaxs and content. From this sense of belongingness service activity becomes spontaneous! Part of the financing of our humanitarian efforts come from charitable donations – just like more traditional charities. On the other hand, we also run paid courses. The proceeds from our paid courses and other activities are used for our humanitarian programs, small and large-scale charitable ventures and community development. We also find that people get so much out of the courses – learning how to handle negative emotions, calmly taking on greater challenges in life – that they are happy that their course fees are helping others. After all, charity cannot happen from an empty bowl. Anyone who contributes for the cause of the organisation is a contributing member & can enjoy the facilities given by the organisation.